Have you ever thought how many sounds the ear of a person perceives each day? Throughout the day, whether we like it or not, our body and our subconscious are under the influence of the “music” of the environment. Getting out of bed and starting to realize the reality, we do not pay attention to how the sounds play on our mood and on the manner of our behavior. And psychologists know that through music you can even “educate” a person: to induce in him the desire for creativity or destruction. The sounds are different – high and low, funny, frightening, and many others. 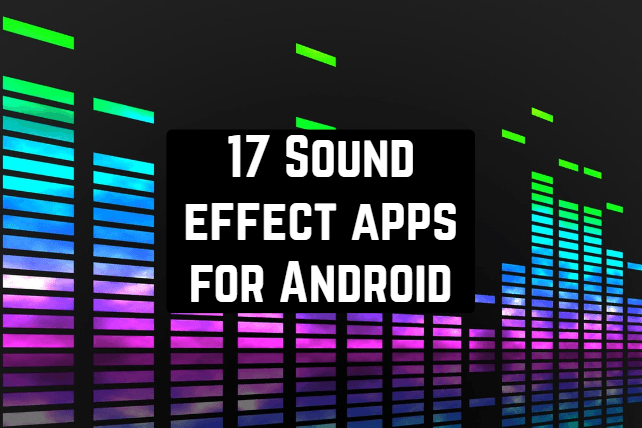 Today we will talk about applications on Android, which contain various sound effects. 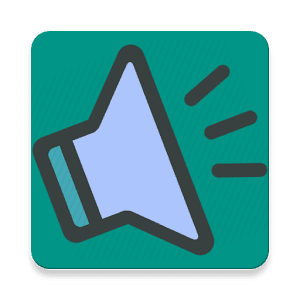 It would be nice if the voice (which you record for the further imposition of the sound effect) sounded loud, then you should pay attention to the 16 Best microphone apps for Android; with such applications, you will definitely be heard. 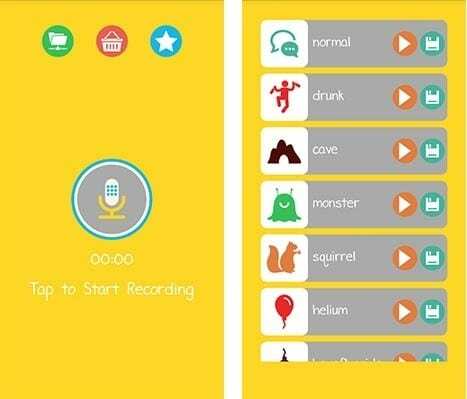 Great program with sound effects on your Android device.The free tool permits you to modify the voice beyond recognition. The program presents a large list of effects that you choose for the transformation. Record your voice, alter it with the help of sound effects and make friends laugh, sending them a record through the social network. 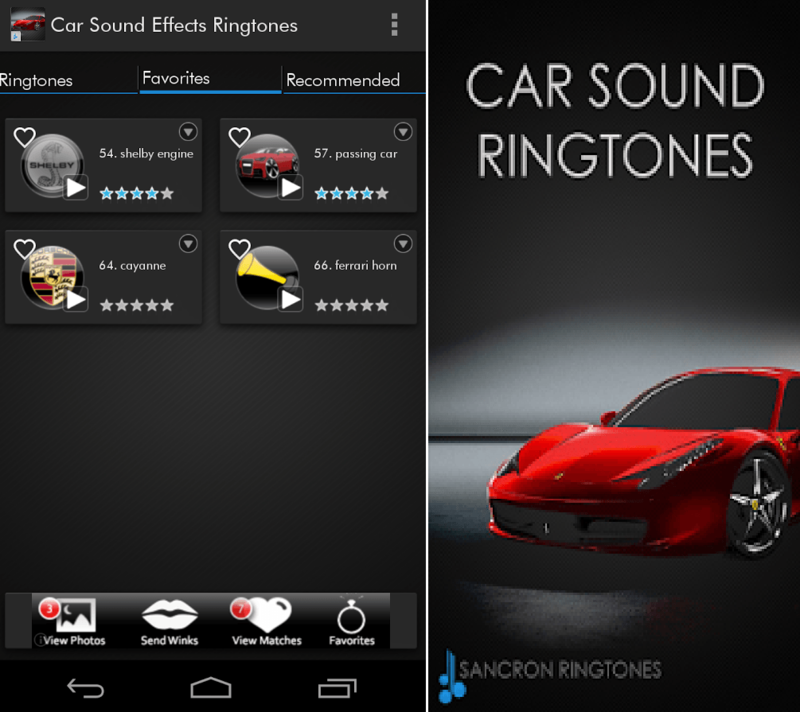 We present to your attention one more application that is able to transform the voice when recording, imposing various sound effects. 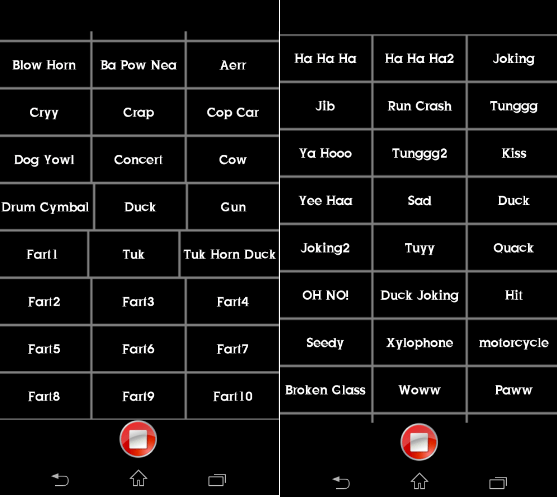 All sounds are very high quality, so you can easily compose your own funny ringtone for your mobile phone. 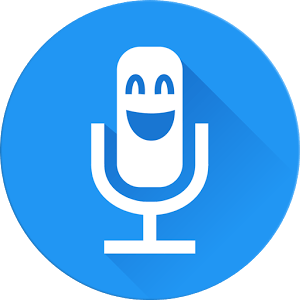 Here you will allocate many sounds to modify the voice, and afterward, you can send the record to friends on Facebook or Twitter, for example. 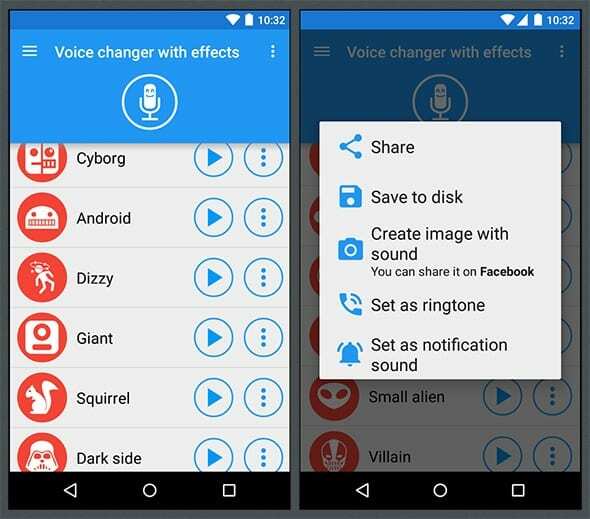 An excellent utility for owners of smartphones based on Android, which contains a variety of sound effects for voice changes. Edit the voice and impose sound effects for fun. 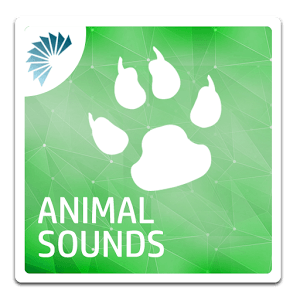 In the database of effects, you will discover the most amazing and interesting – cartoon sounds, broken glass, drum, squeaky voice, and much more. Do you listen to a lot of music on the Android device? But do not you like the sound quality or not enough bass? 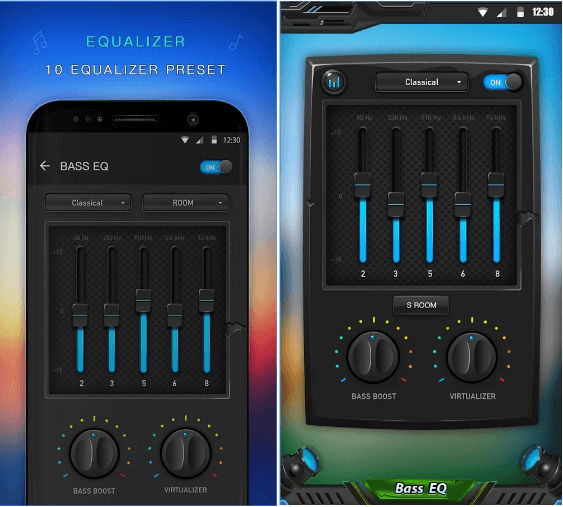 Then before using headphones, try using the equalizer and the bass amp for the installed players – Equalizer & Bass Booster. Customize sound effects is now easy! Start the tool and select the installed player, through which you constantly listen to music. After launching the player and starting listening to music, go back to configure the sound quality with the 5-band equalizer or by twisting the Bass Booster tumbler. You do not have time to mess with the settings of the application, then use the preset equalizer settings presets by selecting one of the several styles of music you listen to. The developers recommend to check the efficiency and adjust the equalizer and the bass amplifier in the headphones to alter the sound quality better. This application will allow you to have a good time, make friends and acquaintances laugh, make fun of them and just laugh at your pleasure. For an application with such a simple function, the interface elements are even too much. Using the program is very convenient. You dictate the text, choose the effect, press “play” and smile. Each of the effects also has its own “options” button. Through it, the recorded audio can be stored in the phone’s memory, sent via a message, social network or Bluetooth, set to a ringtone or a notification sound. There’s even a function to create an image with sound for posting on Facebook, and you can choose any picture from the gallery. For those who like to write more than speak, the developers have provided for the creation of speech from the text: you just write a message and lose it with effects. Well, if you want to make fun of a song or a colleague’s speech at a symposium, import the pre-recorded audio into the program and store the changed into the device’s memory. Developers have approached the implementation of a joke application with a seriousness that really deserves respect. Even text-to-speech synthesis can be done in a dozen languages. Everyone with a developed sense of humor and self-irony is obliged to put this program. Have you ever tried to speak different voices? No? Then pay attention to this application. Its main task is to change the voice and give it the sound of absolutely different characters, animals, etc. And you will have the opportunity to manipulate the record. 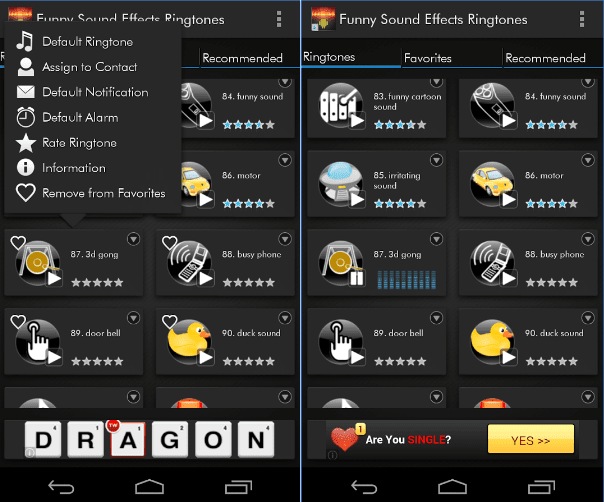 Select the desired sound effect, the application will automatically change the voice according to the allocated sound. Save the record on your phone and send it to friends, let them laugh with you. Simulating voices is a joke, old as the world. Nevertheless, for some reason, this fun is never boring. And with a simple Voice Changer application, you do not need to be Jim Carrey to parody different voices. The program works elementary: at startup, the recorder mode is activated. 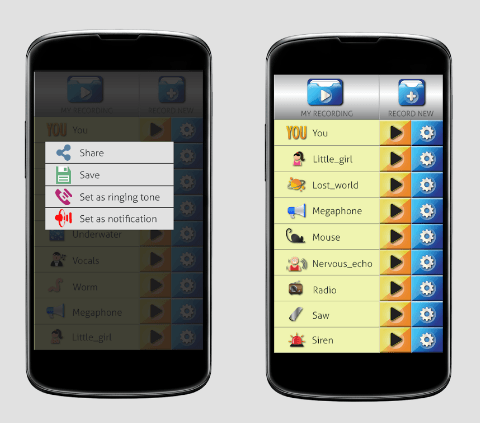 Press “Rec”, record the phrase (you can sing a song at least), save, and get to the menu with a list of sound effects. One click and you listen to your phrase according to the version of the bee, squirrels, gnomes, the child, – there are more than two dozen variants. Of course, some effects are not very encouraging. For example, the voice of “gnome” is more like a child’s and vice versa. Yes, and the imitation of animal voices is attracted to the ears. And yet, all the effects are still funny. And you definitely do not stop until you listen to your phrase in each of the variations. The ability to save your “overdone” phrases is very cool. Then with their help, you can joke with friends, put on the call or alarm clock the original ringtone. The Voice Changer interface is simple, but sound, in terms of functionality and design, there’s nothing to complain about. The sound is good, the design is concise. For a joke application, more is not needed. 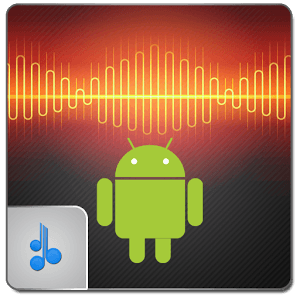 A distinctive feature of this application from all the others is the fact that the utility is capable of reproducing several sound effects simultaneously. In the other – this is a standard program that can change your voice, imposing various sounds on it. The application is free, it will give you and your loved ones lots of laughter. Just see what a wide range of sounds the application has – alarm clock, mosquito, thunder, applause, broken glass, and much more. Do not know how to surprise your friends at a party? 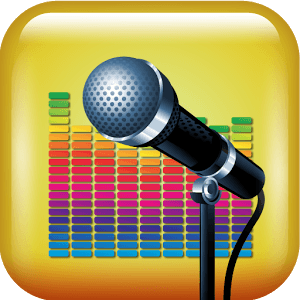 Download the Sound Effect DJ application and you will immediately be in the spotlight. The program contains more than 50 sound effects, which you can apply absolutely for free to your voice, thereby changing it beyond recognition. The interface is clear and without problems, so it will not be difficult to quickly understand the application and cheer the crowd at any event. Sound Effects is an excellent sound compilation, has carefully selected sounds to satisfy even the most demanding ones. There is something for everyone here! You can relax with sound effects or hear Dj sounds, the sounds of nature, hear how the water flows. 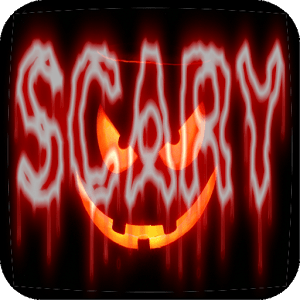 Fun with your friends using scary sounds such as Halloween, or sounds of wildlife. Choose a background sound for a good atmosphere. Play sound effects from the games and imagine yourself the main character, or the sounds from horror movies, that would inflame the situation! Funny sound effects such as cartoon and fx are ideal to use as an answer to a question or a reaction to something. Use Sound Effects when you need sound effects like shots and blows, click on the widget on your desktop and use the sound of an explosion, as it can be in movies. If you like to annoy people, then this app is perfect for such purposes! The sound of baby crying is something that will irritate people. Add volume and scare them with the sound of a siren or bell. Furious them with the sound of an airplane or car. Installation on the caller’s call, on the alarm clock, notifications. Setting the timer before starting playback. Assign a widget to your favorite sounds. Another representative of the program, containing sound effects. However, this utility includes only terrible sounds. The application will be actual on the threshold of Halloween or just like those who adore playing their loved ones. Here you will find more than 40 scary sounds that you can apply to your voice, and then save the record and put it as a ring tone or alarm clock. Amazing application with a lot of animation effects. 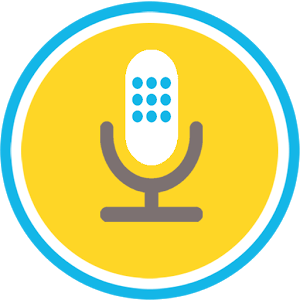 You can save the recording and set it as a ringtone or a notification signal. All sounds are very high quality. A simple interface does not make it difficult to work with the program. 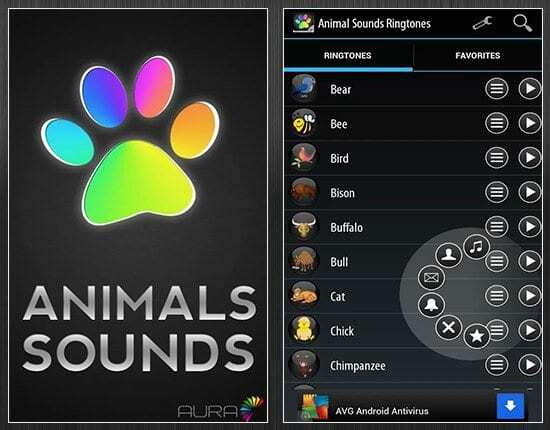 If you and your children are bored at home, then download the Animal Sounds Ringtones application for free on your mobile and you will speak the language of many animals. The quality of sounds is excellent. More than 100 sounds are waiting for you in the application, which you can set to a call, a notification or an alarm clock, or personally assign a sound to a specific contact. 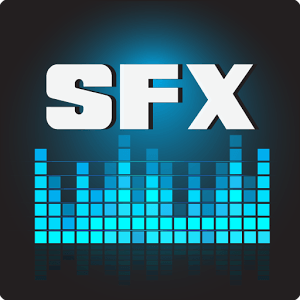 Here you can find the most popular sound effects from many sites. 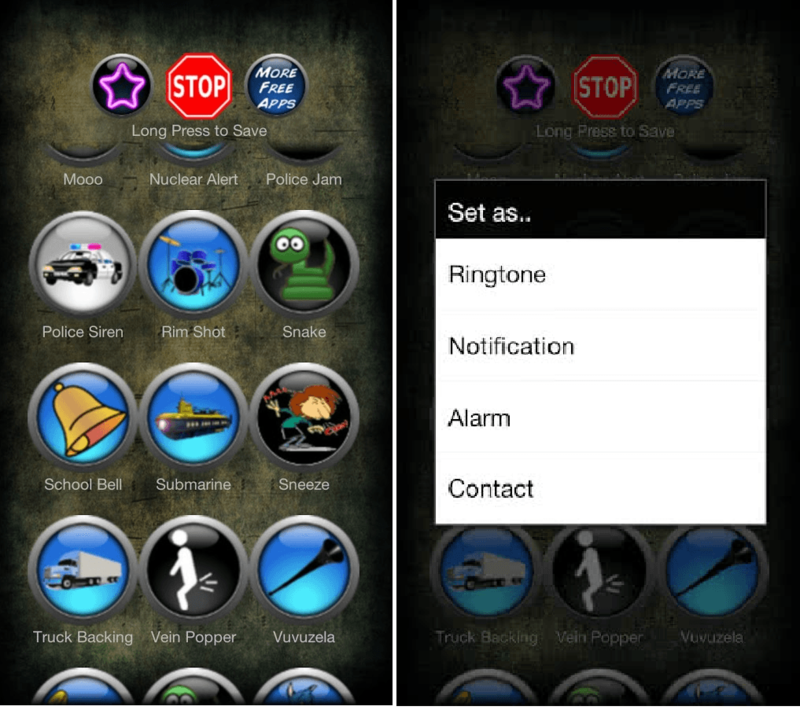 All sounds are of high quality, and animated buttons add color to the application. The sounds can be used as a call or a reminder. The application is absolutely free, a clear interface and colorful design will simplify the use of this utility. This funny free app will suit the hosts a sense of humor. 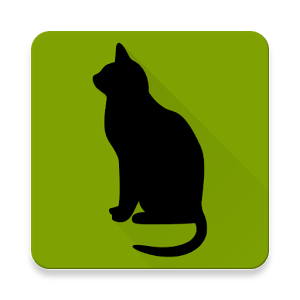 Cat Sounds app imitates cat sounds – meowing, rumbling, curiosity. 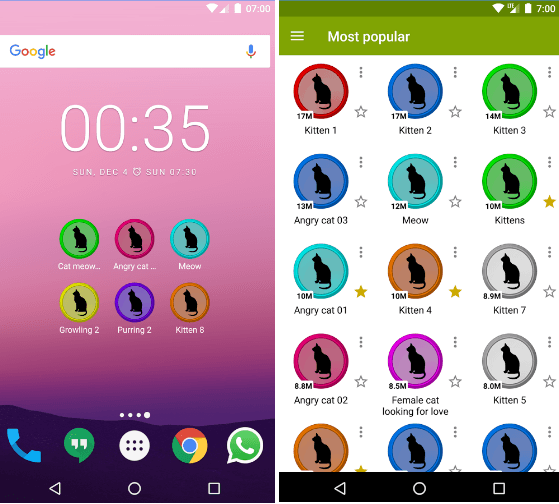 This is not only a good way to entertain yourself and your cat – this application can make fun of your favorite dog or dispel a tense silence in the company, just click the appropriate button. The app contains 45 sounds produced by cats. 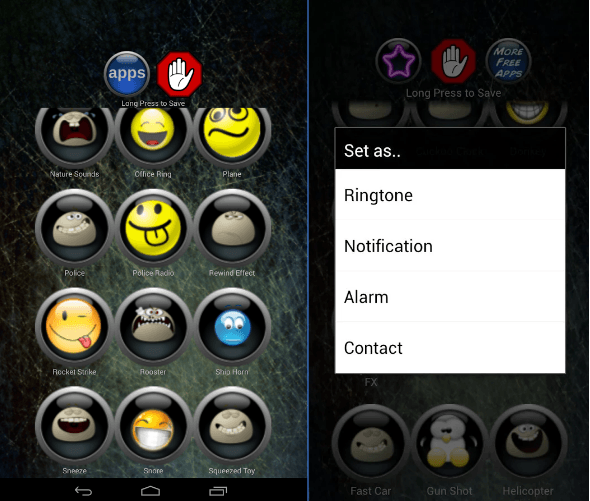 In addition, you can set these sounds to notifications of incoming calls, messages, and so on. Attention! In order for the application to work correctly, you need to save it to the memory of your mobile device! Android can lock the application if it is installed on the SD media. 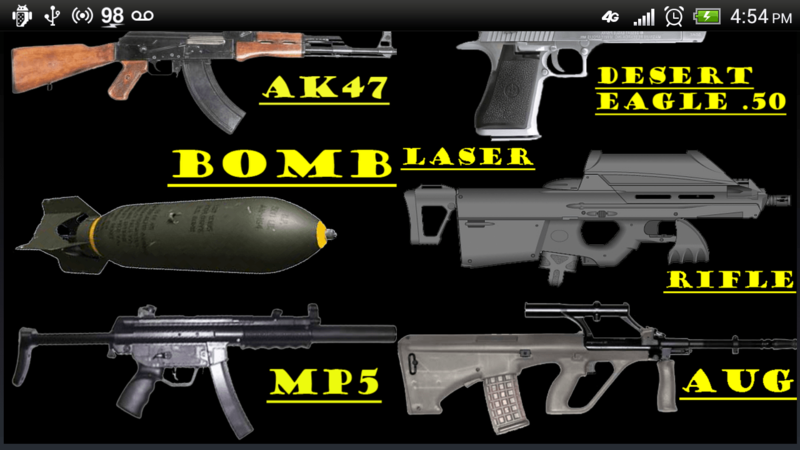 Gun Shot Sounds – this is a game, through which you turn your Android smartphone into a weapon! This is a very fun program that permits you to feel in your hands one of the most sought-after world weapons. 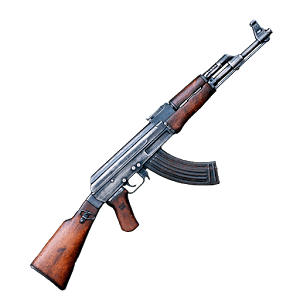 You choose the weapons yourself, and they are offered a lot. What if you shoot from a gold pistol of the brand Desert eagle? And, maybe, you like weapons of large caliber? No problem, for you lies a new Gatling machine gun with six barrels. Do not you like? What if you shoot from a shotgun, or from a Kalashnikov assault rifle? You can hold in your hands even a space blaster! Have you always dreamed of becoming a Formula 1 racer? Or do you imagine yourself in a police car that chases a criminal? The app will help you in your fantasies. At least, it is guaranteed to provide you with a soundtrack. 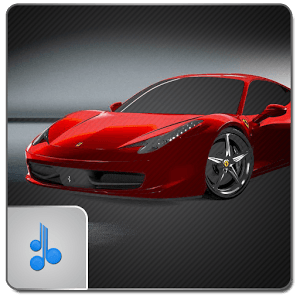 More than 45 sounds simulating the engine, brakes, ignition, accident, and many other sound effects. Cool app for cool guys! We rarely think about the comfort of the sound environment in which we live. Meanwhile, sounds surround us all the time, some of them have a positive effect on our mood and psyche, some are annoying. 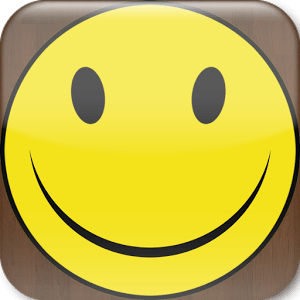 The applications we have reviewed can be used for fun, to have joy with your friends. Have you already tried any application?